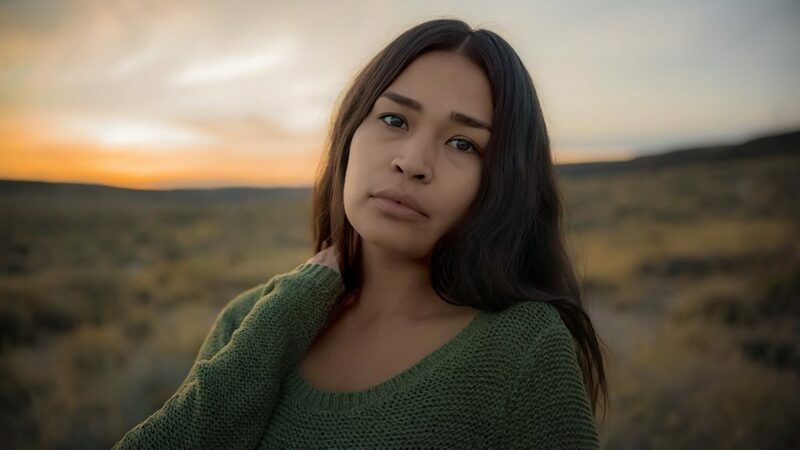 We interview award-winning actress Morning Star Angeline, who’s set to make her directorial debut for her new short film ‘Yá’át’ééh abíní’. We’re so glad to have you with us today. Let’s start with an icebreaker. What do you like to do for fun? I really enjoy writing whether it’s script, spoken word, rap, love letter or short story. Most don’t see the light of day but it brings me joy. I’m also a live music fiend and enjoy hanging out with my dog, Wu. Luckily, most of my fun involves my career and most of my friends are very creative so we spend a lot of time throwing ideas around or creating things just because. I don’t have a specific film or memory that attracted me to film. Growing up in Gallup, New Mexico and not seeing anyone who looked like me on screen made it feel so unrealistic. I participated in drama programs through grade school but it wasn’t until I was in high school living in the Los Angeles area that it seemed attainable – a potential career? Even in a massive city where the majority of people were pursuing the same dream, it still felt closer than back home. I soon learned it was quite the opposite. You occasionally partake in modeling. What draws you to modeling? Modeling is sort of something I fell into. I don’t consider myself a model because I don’t consider myself very good at [laughs], but it’s always an honor when someone asks me to model for them. Over the last year, I’ve prioritized modeling work that also tells a story because I am most comfortable when my body movement is part of an “act” or a character that I can embody. I think mainstream modeling is something I’ve avoided because the images that are often in print can be or have been harmful to me in the past, especially as a young girl. I’ve never been comfortable with my weight and I didn’t want to be a part of an industry that I felt contributed to me and other women’s toxic body images. With that being said, modeling for indigenous and Native designers can be very different. Some designers take their cultures with them when they design, and by that eliminate or de-prioritize western beauty standards. It’s here that I feel confident in myself and also in whatever design I’m promoting. How is it different from acting? I think acting and modeling are similar in that they both deal with the concept and complications of representation. They are or can be different in what is the priority or objective of the work. Modeling is for the promotion of a design and perhaps a story, while I think acting is the promotion of emotion and human nature. You were amazing in Drunktown’s Finest, which debuted at Sundance Film Festival in 2014. How did this help you grow as an actor? What was it like being in such a hard-hitting raw film? Morning Star with her “Drunktown’s Finest” co-stars Jeremiah Bitsui and Carmen Moore. Photo: courtesy. Thank you. My time on Drunktown’s Finest was essentially a film boot camp. Prior to being cast in this film, I had thrown in the towel with acting. After high school, I pursued acting in Los Angeles for a couple years and felt so disheartened. There were few roles for me as a Native and the whole process (like auditions) felt toxic to me. I had been working as a photographer and waitressing when I received the audition and sent in my tape. It was less than a week later that I was on set shooting in Santa Fe, NM. Every day was a learning experience not just with my work but also with myself. Less than a year prior to filming my best childhood friend passed away and it left me raw. I cut all my hair off and was just lost in mourning. I was still grieving when we filmed and my hair was just growing out. I felt the most insecure I had ever felt in my life, but I did my best to push through that for the role of Nizhoni. I knew the acting career I always wanted was at stake and I felt so unprepared, but I had all the willingness and determination to make it happen. You also won Best Supporting Actor for your role in Drunktown’s Finest at the American Indian Film Festival. How were you and your character Nizhoni similar? After all Nizhoni and I had a lot in common. My biological father Shawn Chippewa died from an alcohol-related accident when I was a baby. Her parents both died similarly. My mother later remarried a Navajo man named Daniel Freeland and while I had the privilege to be raised in a home filled with traditional teachings, I still felt lost over the loss of my dad Shawn, which took most of my life to unpack. I identified with Nizhoni’s emotions and the things she struggled to understand and express. Through her, I was able to understand my own loss better and many audiences identified with her too because separation and adoption are huge in Native communities. Did Drunktown’s Finest open doors for your career? In the end, it was truly a learning curve for me. My performance was as strong as possible at that time but I of course have and had a long way to go. The real reward was in having the privilege to travel with the film to different audiences. Seeing the effect it had on people was so humbling and drove me to realize this is what I want to do and I could do it on my terms in New Mexico. Up until this point, I had no idea that the film industry had started to boom in New Mexico, so a month or two after arriving back in LA after shooting I returned to New Mexico and started pursuing my career here, and I’ve never worked more or been happier. You were in Yellowstone as Samantha Long, the wife of Jeremiah Bitsui’s character. What was it like participating in a TV show that gave real roles to Native American actors? Working on Yellowstone was a wonderful experience for many reasons. Without giving any real spoilers away, my character dies in a very sensitive manner and of course, I had concerns over the level of sensitivity given to Samantha. She was a good mother and I wanted to be sure she was humanized appropriately. Taylor [Sheridan] gave me the time and space to unpack her and I really appreciated that, especially as merely a one-day player. I appreciate Taylor’s efforts to include Native peoples in his stories in a respectful manner and his effort especially to draw attention to MMIW [Missing & Murdered Indigenous Women]. That being said, I think it’s also important for us as Native peoples to tell our own stories so the stories can come firsthand. Some things get lost in translation and I think it’s time for Natives to be in charge via writing, directing, editing, etc. of how we are represented on screen. 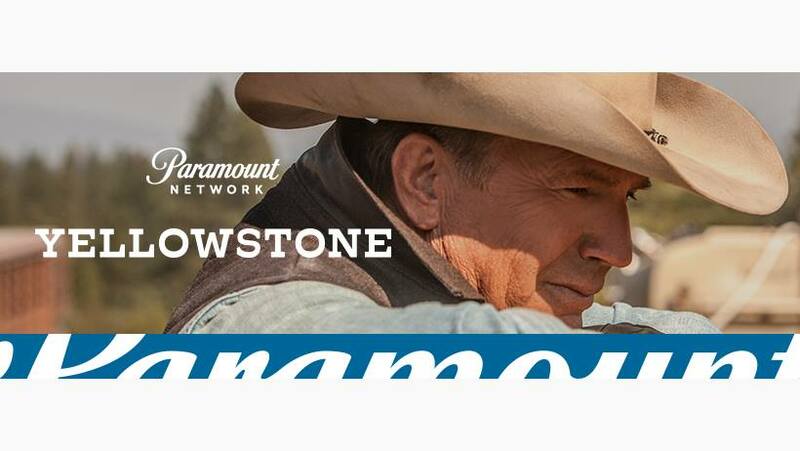 Morning Star Angeline played the role of Samantha Long in Paramount Network’s Yellowstone tv series. Photo: Paramount Network Facebook. Explain your character, Samantha. In your words, how does she stand out? What did you want to bring across the screen to the audience from Samantha? I wanted her to be human and, at the core, a good mother. She’s relatively young as are Kelsey and Jeremiah’s characters so I think I also wanted a youthfulness to her. There’s a lot she didn’t know and hadn’t experienced but she was a strong woman doing her best. The choice she made was made out of strength, although some may argue otherwise. How did it feel being on the set with other Native actors like yourself? Being on the set of Yellowstone was great because I was surrounded by Native peoples of different tribes not just in the cast, but also the crew. I saw familiar faces and met new talented actors and crew and this wasn’t on a low budget independent project; this is Paramount Network. I was so happy to see a show and writer value Native contributions on so many levels. What were your feelings regarding the controversial casting of Kelsey Chow Asbille in Yellowstone? I felt very disheartened and hurt as a Native woman when Adam Beach put out his call for a boycott of Yellowstone. Had he taken into account the gravity of asking not just fellow Native actors but crew to turn down legitimate work because he did not agree with one casting choice? Was the show really doing more bad than good? Why did he choose to publicly single out a Native woman and demand she essentially proves her identity to him? Wasn’t Adam Beach aware of the complexities of casting as well as blood quantum? My head was spinning for months on this because although Kelsey and I have very different backgrounds and upbringings I could relate to the struggle of identity and it’s a sacred thing, not something to just be brought up in an article so carelessly. I tried to not acknowledge the issue publicly but soon it felt like it was my responsibility as a Native female actress to contribute to the conversation as it affected me socially and quite honestly, emotionally. Representation is a growing topic of conversation around film and media. Each culture and race are very different so of course conversations regarding representation will differ from culture to culture. Native peoples are starting to discuss casting representation tribe to tribe, not just non-native to Native and the discussions are worthy of our time. Although I agree there are plenty of talented Native actresses to choose from, the fact is they chose Kelsey. I didn’t feel offended by her casting and I heard no call to action from Native women or actresses, just Adam Beach. I definitely think he brought up good points but missed the mark on subjects like blood quantum and cultural knowledge and ties when it comes to this casting choice. Outcasting Native peoples who don’t look Native or grew up far from the tribe only discourages them to reintroduce themselves to their tribes and I think that’s very harmful given the high numbers of separation and adoption in the U.S. and Canada. As it’s a very complex subject, topics like privilege are also being discussed. I won’t speak to Kelsey’s particular background or experience as that is her own and I want to respect her privacy and right to speak to it herself. My point is, no matter the case, how he went about his contribution to this conversation was hurtful not just for her but for myself and I think potentially for others. I felt emotional seeing a Native man conduct himself in a way that was so disrespectful to a Native woman. 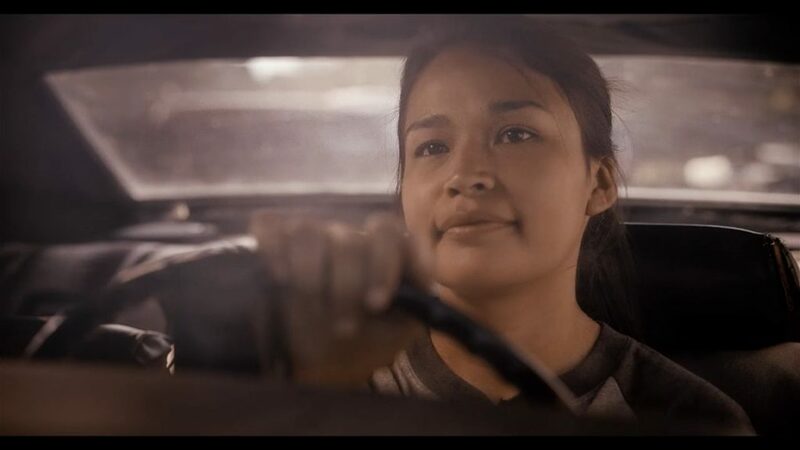 You were selected in the Sundance 2018 Native Filmmaker’s Lab for your short film ‘Yá’át’ééh abíní’. What is your short film about? 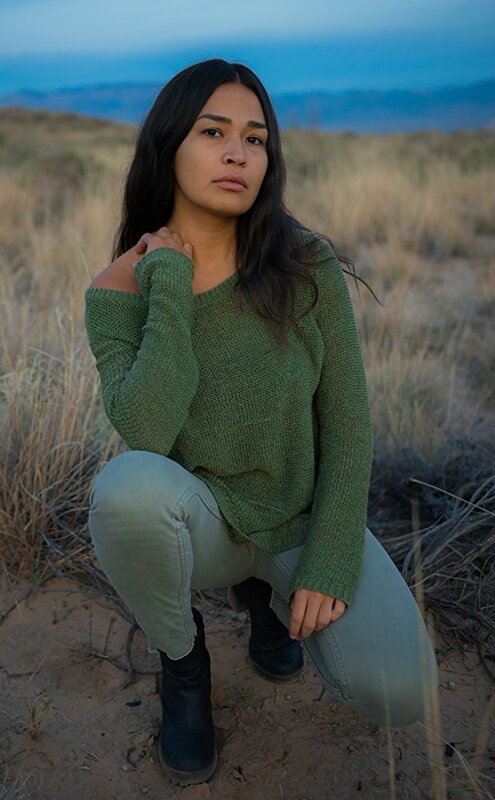 My film is about a 20-something-year-old Navajo woman who lives in a post-apocalyptic world with her Navajo dad. He dies due to this unknown virus and leaves her with all of his teachings and medicine alone. It’s a story of her trying to figure out how to move forward in her life with or without what he left her. We will be filming August 11th through the 14th in Window Rock, AZ. I’m very excited! This story was born from the grief of losing my adopted father Daniel in 2016. I wanted to tell our story in a disguised manner that would be respectful of the culture and ceremonies I grew up in but captured the beauty and love of it all. What are some of your upcoming projects or films? I wrapped up a feature film called The Incredible 25th Year of Mitzi Bearclaw a little over a month ago. I was especially excited to be a part of that project because it is a much lighter film than the films and shows I’ve been in. My character Mitzi Bearclaw is a “city Native” who goes back to help her family on the reserve. It’s a funny story with romance and heart. I had so much fun getting to play with comedic acting and also flirt on screen. It was all so much fun. Shelly Niro is the writer, director, and producer. I believe it is due out in 2019. I also just wrapped up an episode of Chambers and a short film called Without Darker Reflection directed by Gabriel Abeyta, a good friend, and a talented filmmaker.